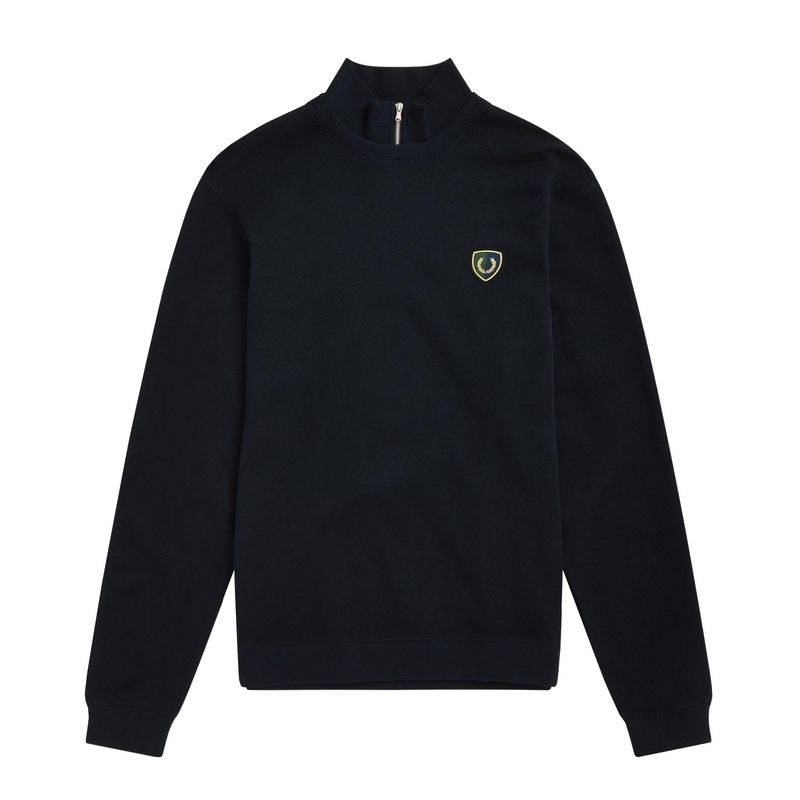 Introduced as part of this season's Fred Perry collection this navy iteration of the Shield Zip-Neck Sweatshirt pays homage to 90s sportswear trends standing out with a unique ribbed Crew Neckline with an attached zipped funnel neck that is in keeping with the garments tonality. Crafted from a pure cotton portrayed with a subtle all over french rib texture the piece's batwing sleeves compliment a 90s style oversized fit to a tee. Finished with ribbed trims at the cuffs and hem a Laurel Wreath Shield badge rounds off the sweatshirt for a signature finish.